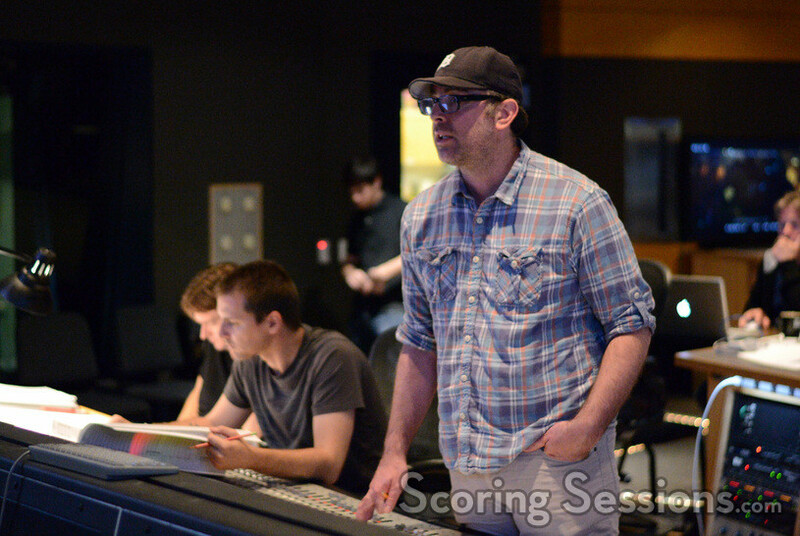 Earlier this summer, composer John Paesano recorded his score to the sci-fi sequel, Maze Runner: The Scorch Trials. 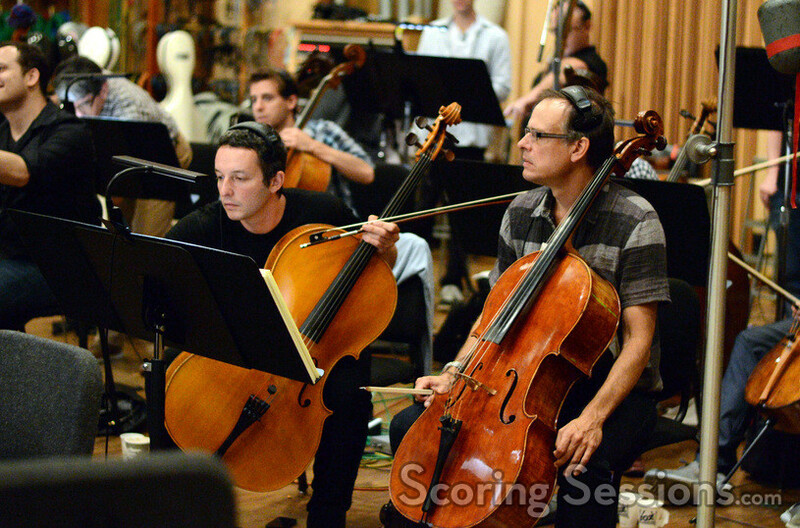 The film adaptation of the second book in the popular young adult series was directed by Wes Ball, who directed the first film, and ScoringSessions.com is thrilled to bring our readers photos from the scoring sessions that took place at 20th Century Fox! 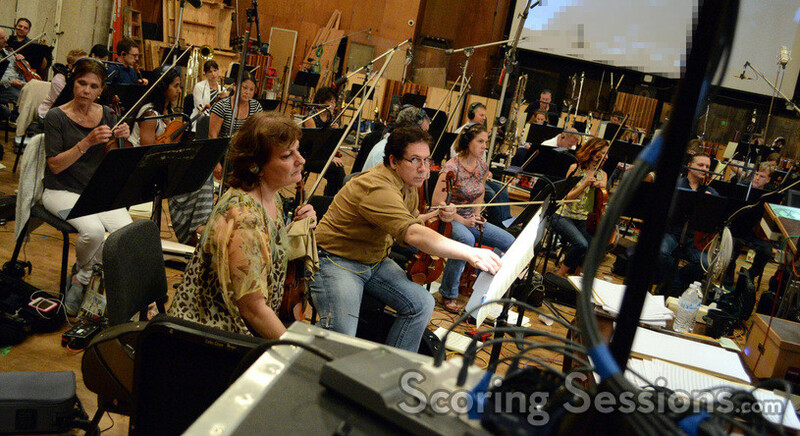 Conducted by Pete Anthony, Paesano’s score was recorded with a 99-piece ensemble of the Hollywood Studio Symphony. 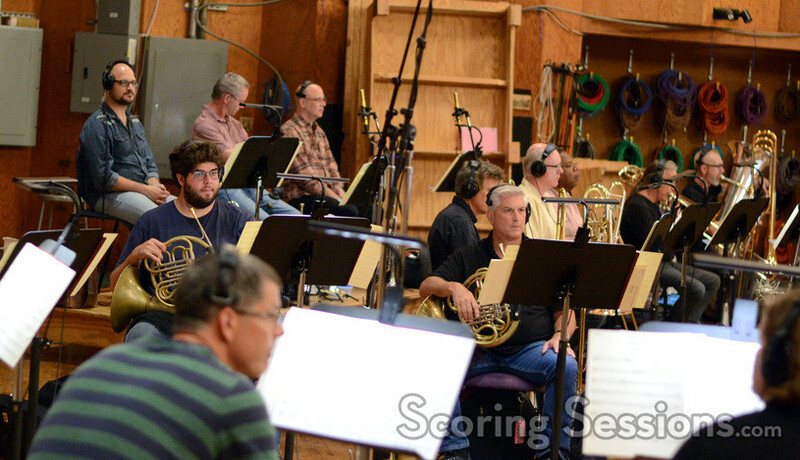 Strings and woodwinds were recorded during the day, with brass recorded at night. 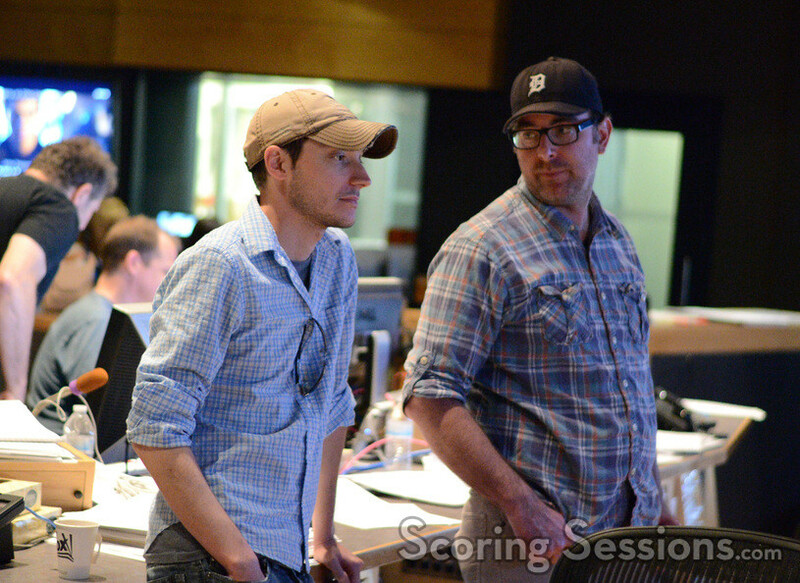 In the booth, Paesano and his team were working hard to make sure everything was coming out perfectly. 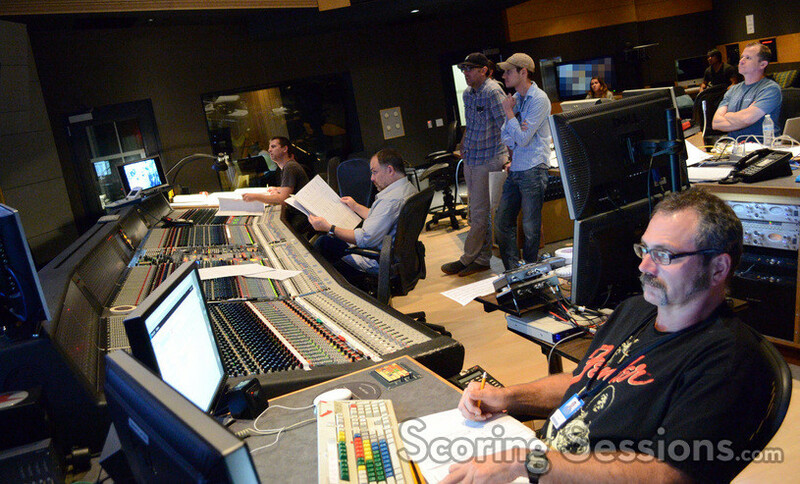 Filling in for scoring mixer Alan Meyerson (who was mixing the score down at Sonic Fuel Studios) was recording mixer Chris Fogel. 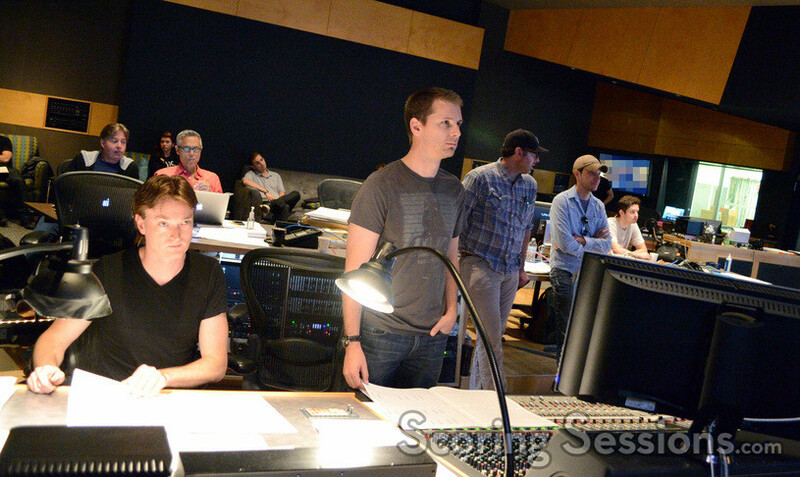 In addition to director Wes Ball, who gave notes to Paesano, also on hand for support were additional music composers Braden Kimball and Jason Livesay, music editors Jeff Carson and Chuck Martin, and ProTools recordist Kevin Globerman. Maze Runner: The Scorch Trials is now playing in theaters. 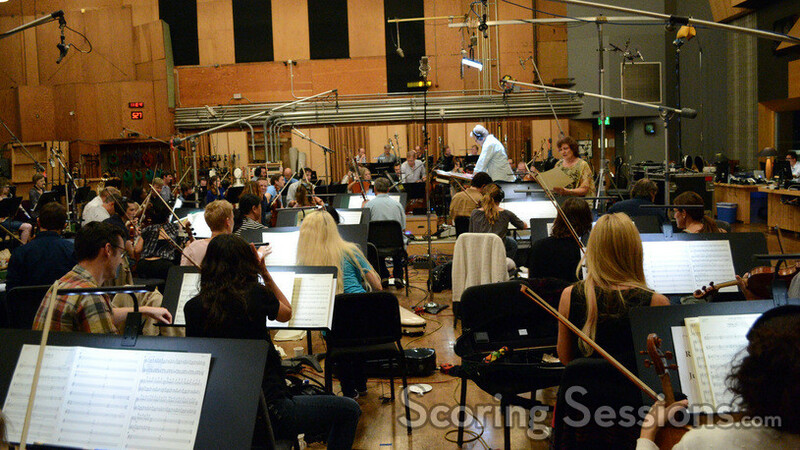 A soundtrack album featuring Paesano’s score is available from Sony Classical.